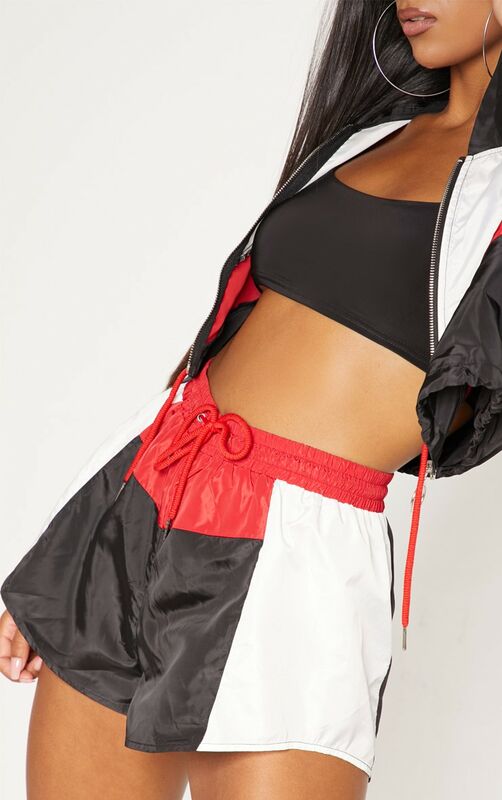 Get ready to look absolutely fire in these shell suit sorts. 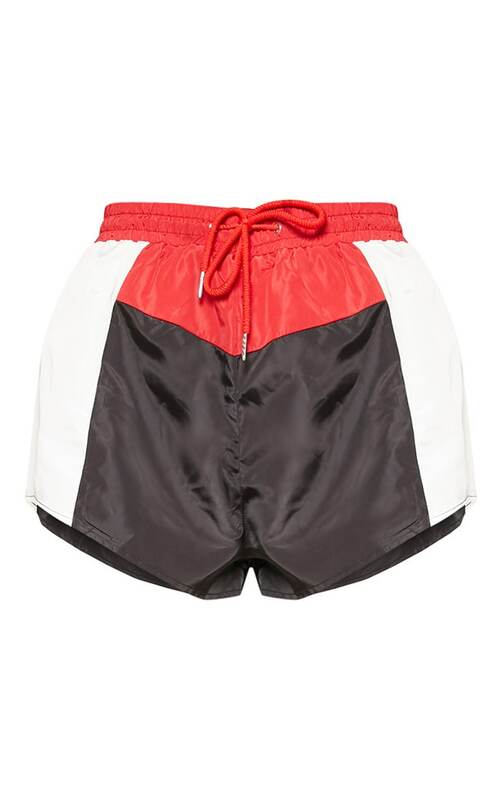 Featureing a cropped sporty length, black, white and red color block design and elasticated waistband. 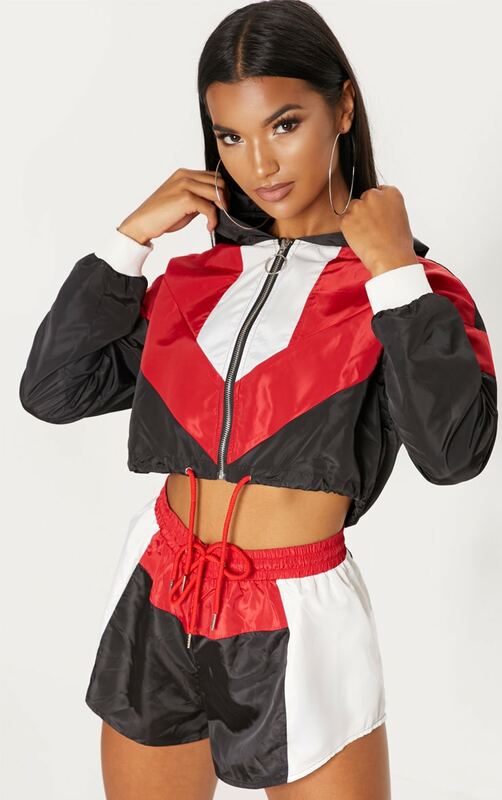 Team with the matching shell jacket and fresh kicks to take this sporty look to next level lit.